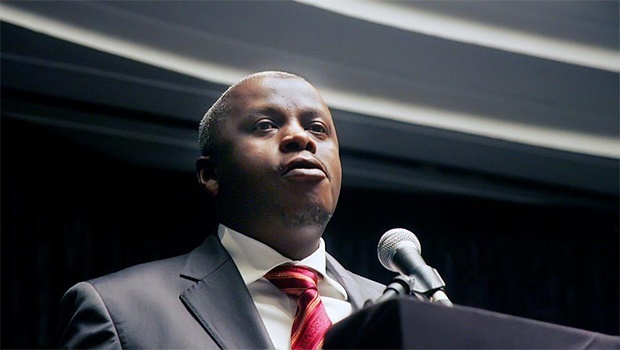 In an attempt to muscle in on a R140m consultancy deal in 2011, one Gupta brother allegedly offered former Free State MEC for economic development Mxolisi Dukwana a R2m bribe to approve the awarding of a contract to Gupta-linked businessmen. Before the now infamous Estina dairy farm project got off the ground, the Gupta family and their associates had first set their hopes on a potential R20bn 'City for Tomorrow' (CFT) project in the province, a News24 investigation has found. News24 also found that Rajesh 'Tony' Gupta was eyeing a roughly R80m cut of the initial R140m phase of the project for little or no work in what has emerged as a remarkably similar scheme to Estina. This steep price for opening political doors and a firm stance against the project by then Finance Minister Pravin Gordhan was eventually the reasons believed to be behind the entire project collapsing, insiders revealed. Dukwana is scheduled to appear before the Zondo commission of inquiry into state capture on Friday and is expected to reveal the attempted bribe and more state capture details in the Free State. The money, one source told News24, was brought into a room at the Gupta family home in Saxonwold in a snakeskin briefcase during a meeting about the CFT project in 2011. Gupta allegedly offered Dukwana the cash then and there, and a further R2m a month, while Free State Premier Ace Magashule sat quietly, observing the scene. Dukwana said in court papers last year that Magashule had taken him to the Gupta home. On Thursday Magashule denied any knowledge of the alleged bribe or the meeting when asked why he did not report the offence to law enforcement. In exchange for the cash, Dukwana was supposed to sign a document presented to him on a Free State government letterhead, giving the go ahead to two companies, named Nulane Investments 204 and P3 International, to develop a master plan and schematic for the City for Tomorrow, at a cost of R140m. Nulane was owned by Gupta-linked businessman and former Transnet board member Iqbal Sharma while his American business partner John Thomas owned California-based P3. But Dukwana refused, saying he did not have the authority to sign. Sipping his Grapetiser, he refused the cash bribe as well. Former MEC for economic development in the Free State, Mxolisi Dukwana. (Netwerk24, file). But a News24 investigation that delved into court papers, company records and documents in the Gupta leaks as well as extensive interviews with key players involved in the planned deal has revealed Dukwana may in fact have signed after all. Dukwana has denied that signatures on documents unearthed by News24 are legitimate, while an unsigned subcontracting agreement between a Gupta-owned shelf company and Sharma's Nulane show Gupta's intention to scoop R80m off the top. And when the Gupta element faced pushback over its cut, which was seen as too high, the whole project ground to a halt. The Free State has long been recognised as ground zero for the Gupta state capture project. Revelations contained in investigative journalist Pieter-Louis Myburgh's book Gangster State: Unravelling Ace Magashule's Web of Capture which launched over the weekend, have placed Magashule at the centre of this project. 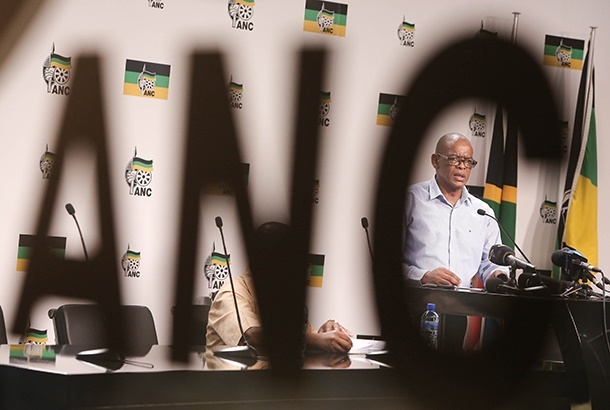 On Thursday, Magashule denied the allegations against, calling Myburgh a "blatant liar". Responding to questions from News24, Magashule denied any involvement in the CFT project. He further denied pressuring Dukwana into signing documents to give the go-ahead for the project. "I don't know what you are talking about. Your questions and the narrative you give is a rehashing of your previous story which remains one-sided and misleading, evidently geared towards perpetuating a false narrative based on fabrications and lies. Your attempts to isolate me have not gone unnoticed, but I remain firm and unshaken. And focused on securing a landslide victory for the ANC in the upcoming elections," Magashule said in a written response. Magashule refers to News24's coverage of Dukwana's Anton Piller application brought in October last year, in which he sought to seize documents from the provincial government which were crucial to his testimony before the Zondo commission. At the time, News24 requested comment from Magashule, who did not respond but released a statement following the publication of the story, denying Dukwana's allegations that Magashule took him to the 2011 meeting with the Gupta family. Questions for this story were first sent to Magashule's office in November last year, and again this week. News24 also attempted to get comment from Rajesh Gupta through his attorney, and will update this story once it is received. The CFT deal has emerged as the state capture litmus test in the Free State province, News24 has found. Less than two years after the CFT project was halted in its tracks the Estina project would be born. The dairy farm, which was supposed to have benefited local, emerging farmers, resulted in the family spiriting R220m out of the country to their coffers in Dubai. And a common feature is the hand of Magashule. Magashule has previously been linked to the Gupta family through his sons, Tshepiso and Thato Magashule. In October last year, Magashule was directly linked to the CFT project by Dukwana, who filed the Anton Piller application. In court papers Dukwana alleged that Magashule was involved in the CFT deal, including arranging meetings at the Gupta family's Saxonwold, Johannesburg compound surrounding this specific project. Nulane and P3 were given the go ahead to work on a "schematic and master plan" for the CFT project in early November 2011. In exchange, they would be paid R140m in six tranches, documents show. The next step would have been the provincial government securing funding for the project and then construction, which Nulane/P3 would undoubtedly have managed. Potential American investors had been brought on board, and it is likely this R20bn figure was most enticing to the capturers. This too, fell through when Gordhan reportedly questioned the affordability. Gordhan's spokesperson was asked to confirm this, but did not respond at the time of writing. Rajesh 'Tony' Gupta, one of the three controversial Gupta brothers, allegedly offered Mxolisi Dukwana a R2-million bribe in 2011. (Who's Who). One key insider who was closely involved in the deal and who refused to be identified told News24 that Magashule was present at meetings surrounding the project in 2011 and again in late 2012 or early 2013 at the Gupta's Saxonwold compound. On both occasions, the new city project was discussed, the insider claimed. During the first meeting, they said, the Dukwana as well as Sharma and Thomas, the owners of Nulane and P3, were also present. The second meeting – also allegedly attended by Thomas, Magashule and Sharma - took place when the department of economic development refused to make payment for invoices submitted by Nulane/P3, as a result of the botched procurement process. Sharma dismissed the claims over these meetings as "complete fabrications". "Nothing came of it," Sharma told News24 in November 2019. "We were in a partnership with an American company to develop a large-scale urban development, but nothing came of it in the sense that Dukwana was the person that we had initially presented to. This was on a back of a tender the province had issued but they didn't award it, kind of no one met the requirements. So with our American partners we made a proposal and engaged with Mr Dukwana," Sharma added. "We started work on the project but everything came to a halt... it seemed as if Dukwana did not have the authority or something like that," he added. Sharma admitted that he had engaged with Tony Gupta on the deal, in what he called an attempt to bring the Gupta brother on board as an investment partner. "But we couldn't agree on any commercial arrangements whatsoever." An unsigned subcontracting agreement found in the Gupta leaks between Sharma's Nulane and a Gupta shelf-company registered in Dubai named Global Corporation LLC, shows Gupta did not have investment in mind. Global Corp has featured in media investigations before, when it emerged that the shelf company was part of the Guptas' elaborate cash-laundering machine in Dubai. The subcontracting agreement endeavours to give Global credit for the design of the master plan for the CFT (work that was undertaken by P3 and its subcontractors) and bears remarkable similarities to the Master Plan agreement between FS economic development and the P3/Nulane consortium - down to the schedule of work which is attached as an annexure. The schedule of work in both agreements is a verbatim copy. The subcontracting agreement would have provided the basis for Nulane to pay Global $10m (roughly R80m, taking into account average exchange rates at the time) for its efforts, which according to one insider amounted to no actual work on the project, but was merely the Guptas' cut for opening "political" doors. Effectively, the Gupta family would have siphoned R80m out of the country for doing nothing. The subcontracting agreement would have provided a veil of legitimacy for the money flow. The meta-data on the subcontracting agreement reveals that it was authored by Kobus Swart of global auditing firm, Deloitte and Touche and was edited by the Guptas' Dubai-based lawyer, Ashok Narayan. Deloitte explained that it had no deal with Nulane or Global Corporation to draft the subcontracting agreement, but that it appeared to be their standard contract template that was simply edited. Sharma claimed to have never seen the subcontracting agreement before. He was incredulous at its terms and explained that this agreement would never have been signed as it left "no margin" for himself and Thomas/P3. The agreement supported one insider's claim that the Gupta family wanted 70% of the profits in exchange for facilitating the deal. Sharma admitted that he had approached Tony Gupta to become a part of the project as a local investor, but claimed that Gupta had misunderstood his proposition. Rather than investing, Gupta simply wanted a cut. As a result, Sharma and Gupta "could not reach commercial terms". Both insiders, who spoke to News24 independently, agreed that the reason the entire CFT project did not get off the ground was that the Guptas' were "cut out". While Dukwana remains adamant that he refused to sign any documents awarding the CFT consultancy to P3 and Nulane, News24 has seen two documents bearing a signature purportedly belonging to Dukwana. He has denied that the signature on either document is his, but when compared to his signature on court documents, clear similarities can be found. The first is a 19-page document titled "Master Plan Agreement" between the Department of Economic Development and the Nulane/P3 consortium, which outlines what the master plan will entail. The document defines the master plan as "the overall integrated plan for the City for Tomorrow" It places the value of the project at R140m. A signature that is supposedly Dukwana's appears on this document, the same signature signed in both places for the MEC and the head of department, dated October 5, 2011 in Bloemfontein. It is also signed by P3 and Nulane's owners, Thomas and Sharma, but no witnesses signed in the allocated spaces. Dukwana denies that the signature on the Master Plan Agreement is his, or that he signed the document. The agreement further outlines that before work can begin a "Notice to Proceed" must be signed. The second document News24 obtained is a one-page letter addressed to Sharma and Thomas, also purportedly signed by Dukwana on November 3, 2011 providing the required Notice to Proceed. Dukwana was clear - he did not sign this document either. While a copy was provided to Dukwana for his inspection, the source thereof has asked that News24 refrain from publishing it. "I know about this letter and I want you to compare the signature on this letter and the two that appear on the letter allegedly appointing them," he said via text message in November 2018, referring to the Master Plan agreement. "Can you establish if really I signed all those papers? Why have they not been paid a cent despite the invoice they sent demanding payment and making threats to take the matter to court?" he asked when pushed to confirm if the signature on the Notice to Proceed was, in fact, his. "I signed an invitation to P3 for a workshop. But none of those signatures are mine," Dukwana said. The above are pictures of four signatures on three documents purportedly signed by former Economic Development MEC in the Free State, Mxolisi Dukwana. He denies that the first three signatures, which appear on a notice to proceed and master plan agreement between his then department and a consortium of Gupta-linked companies named Nulane and P3 International. The final signature (bottom) is from court papers filed by Dukwana last year. While Dukwana is expected to deliver bombshell testimony implicating Gupta and Magashule, it is also likely he will face tough questions about these signatures.